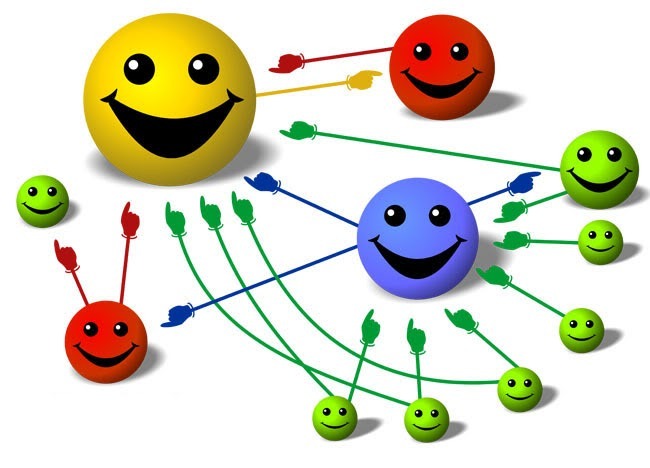 Is Google PageRank still important in Seach Engine Optimization? One of the most important debates in SEO is how important PageRank is nowadays and how much it affects the Search Engine Results. Is PageRank still an important parameter or is it something that we can simply ignore? In this article we will touch upon this controversial topic and we will try to give an answer on this difficult question. We will start by briefly discussing what changes took place the last few years and afterwards we will focus on the actual question. I highly recommend you to read the full article so that you get more familiar with how things evolved during the years, nevertheless if you wish you can skip the introduction and cut to the chase. As most of you know, PageRank is an algorithm that calculates a web metric which shows how reputable a particular page is according to Google. This rank depends not only on the quality and the quantity of the incoming links but also on several other parameters such as the number of outgoing links per page (on the linking webpage), the position/visibility of the links and more. We should note here that the real PageRank values are not the ones that appear on the PageRank Toolbar. The toolbar transforms the real values by using a logarithmic (or similar) scale from 0 to 10. In the first years of Google, PageRank was one of the most important signals that heavily affected the search results. As a consequence SEO Professionals heavily focused on increasing the PageRank values of their pages either by building links naturally or by acquiring paid links from high PageRank pages. At the same time SEOs and webmasters have tried to manipulate the PageRank distribution by changing their internal link structure and by using PageRank sculpting techniques. Google is not very happy when people try to mess with their algorithms. Their main focus was to reduce the affects of paid links on Search Engine Results by detecting them and excluding them algorithmically, by banning websites that sell links and by introducing the rel=”nofollow” attribute. The last one is a special attribute that is added in anchor tags and it indicates that a given link should not be trusted and as a result no PageRank juice should be passed to the target page. Google also tried to eliminate the effects of PageRank sculpting by making algorithmic changes. These changes lead to the evaporation of the amount of PageRank that is not passed through the nofollowed links. Additionally Google has started to make it clear to the users that PageRank is only one out of 200 signals and that the Webmasters should not think of it as the one and only important parameter. Moreover they have removed the PageRank tab from the Google Webmaster Tools console and they have reduced the number of PageRank Toolbar updates that took place 3 or 4 times per year. Also Google made several algorithmic changes to detect spam, added new signals (such as the Social Media reputation) and changed the structure of their index (caffeine update). Finally we should note that Google launched new types of search (such as Local Search, News Search and Real Time Search) where different parameters are used comparing to the traditional search. As you understand this is like the cat-and-mouse game. When Google takes actions to eliminate a certain practice, people find new ways to affect the search engine results. SEOs invented new PageRank Sculpting techniques and Webmasters became more careful on how they sell links (fewer and more relevant links per page, careful positioning, selling links for longer periods etc). At the same time SEO professionals started to analyze the Search Engine Results and came up with new hints on how to affect the rankings. Additionally lots of researches have been published during the years on how to predict PageRank values such as the technique described on the article “Page Rank Unmasked” by Dixon Jones, Marketing Director of Majestic SEO. Let’s start from the things that we know for sure. The PageRank and the total number of links affect the number of pages of a website that get indexed by Google. So basically if you want more pages to get into the index you have to increase your PageRank. Also you need to ensure that your link structure is such so that you pass enough PageRank to the important pages of your website and have them indexed. From the above video, one should conclude that PageRank is still an important signal but he/she should focus more on how to increase his/her relevant traffic, sales and ROI. Additionally a recent interesting research conducted by SEOmoz suggests that even if PageRank is not the best predictor, it is slightly correlated with Rankings: “How Well Does PageRank Correlate to Rankings? The short answer is – not very well, but not badly enough to suggest that Google`s statement above is entirely inaccurate. (Google’s Statement was that: Pages that we believe are important Pages, receive a higher PageRank and are more likely to appear at the top of the Search Results)”. Personally I respect the findings of SEOmoz’s research and I think the research is worth reading. Nevertheless we must note that the important question should not be how well PageRank can predict the search engine results of the first page but what is the effect of PageRank on the actual order of the results for a larger number of pages and how many relevant low PageRank pages manage to rank high when the competition is intense. Also we should never forget that during correlation analysis we must not only examine how a single variable affects the results but also consider the Interaction Effects. This means that using 2 or more variables at the same time to predict the output can have totally different results than using them separately. That’s why I tend to agree more with Aaron’s Wall article which says that correlation analysis sometimes fails to deliver good results. Actually it is not the Correlation Analysis that fails but the formulated model that is insufficient. Web SEO Analytics has been using a more complicated model to “predict” the search engine results. In our SEO Tool called SERP Analysis we use several parameters, including PageRank, to evaluate the Strength of each result for a particular Keyword. The tool creates a list that orders the URLs that were found in Search Engine Results by their Strength (off page parameters only). In order to get more accurate results several signals are taken into account such as link & domain authority, link diversity, keywords in the domain, PageRank values, links’ quality and quantity and more. The feedback of our users for this tool was really positive and this leads us to believe that PageRank should indeed be used to in our model. 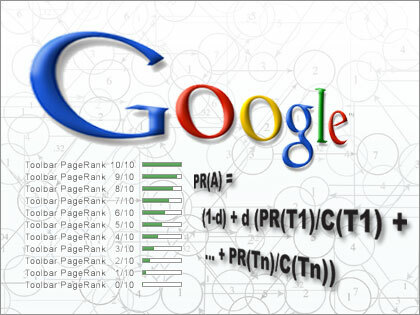 Why Google DOES use PageRank to calculate the Rankings? In order to answer the question we have to understand how search engines work. All the major search engines try to return to the user the most relevant results from the most trusted sources. Since at the moment the computers are not good enough in extracting knowledge from a particular page and in comparing it to their own Database of knowledge in order to evaluate the quality of the text, they have to find some other way to find the Authority and the Trust of each source. So as we all know, search engines use the data that come from the incoming links in order to evaluate the reputation. This is done primarily due to their assumption that high quality pages should receive more high quality links. So if they could evaluate sufficiently the quality of the text algorithmically, they would not have to take into account any information from the links in order to return the best matching pages that answer the question of the user. Since search engines do take into account the links, they have to come up with a way to measure the value of each link. Also due to the fact that it would not be feasible to compare one by one all the links of each result, they calculate several numeric metrics to evaluate easier the sources. This is where PageRank comes into play. Along with PageRank, Google evaluates the domain diversity, the trust, the authority and several other metrics that obviously they do not disclose to the users. Of course the PageRank algorithm has changed dramatically from the early version that is described on the academic paper of Larry Page and Sergey Brin. Google has informed us that they don’t use the simple Random Surfer Model that is described on the initial paper and that they no longer treat every link of the page equally. Maybe the PageRank algorithm has changed so dramatically that no longer resembles the original algorithm. Nevertheless this does not mean that PageRank (or whatever the new name of the algorithm is) is no longer important. On the contrary Google and the other Search Engines use similar algorithms to evaluate the links and their results affect the rankings. One last thing that we should take into account is that PageRank might be less important for some queries. When Google identifies that a particular query is related to a geographic area or it is a local search, or a news search or a product search, the importance of the PageRank values in the algorithm is certain to change. Google has made it clear that depending on the type of search they can use different algorithms. So one should expect that PageRank is much less important when a user searches for blog posts and it is far from important when one searches for news. Thus we should always have in mind that in such queries other important parameters come into play such as the Freshness, Social Media Data, Proximity, Authority of the Source and other. Nevertheless this does not mean that PageRank is something that we should ignore! Conclusion: So how important is PageRank anyway? I have to agree 100% with what Matt Cutts said on his recent video. PageRank is an important factor. It is one out of 200 signals but still it is an important one for a large number of queries. We must not get obsessed with it but we must neither ignore it. Additionally we should also take into account that the Real PageRank values are constantly recalculated and as a result the values that we see on the toolbar are old and not very accurate. Still when the PageRank Toolbar update is recent, they can give us a clue on whether our link building campaign is working. If I had to keep a single rank to evaluate how successful is the online presence of my business, then PageRank would certainly NOT be the one that I would choose. I would focus more on the actual sales, the conversion rates or the relevant traffic that I receive. Nevertheless since I don’t have to select a single metric, I choose to take PageRank also into account, particularly when I have to evaluate the competition for a particular query. I am aware that it is not something that will give me 100% accurate results but it will help me understand what kind of query I am dealing with and it will make things clearer when I combine it with other information.